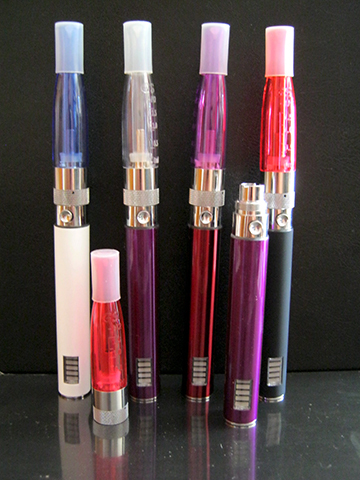 The article consists of one 650 mAh eGo VV LED battery and a GS-H2 atomizer. The battery operates on three different level of voltages (you can switch by pressing the button 5 times), 3.2 V, 3.7 V and 4.2 V. The GS-H2 has changeable bottom coil and could be filled from the bottom, also hold 1.5 ml of e-liquid. The drip tip is built together with the tank so the leakage is minimized to zero. There is no charger included in this article! The battery is available in white and black colours, and the GS-H2 atomizer is available in transparent, blue, purple and red colours.